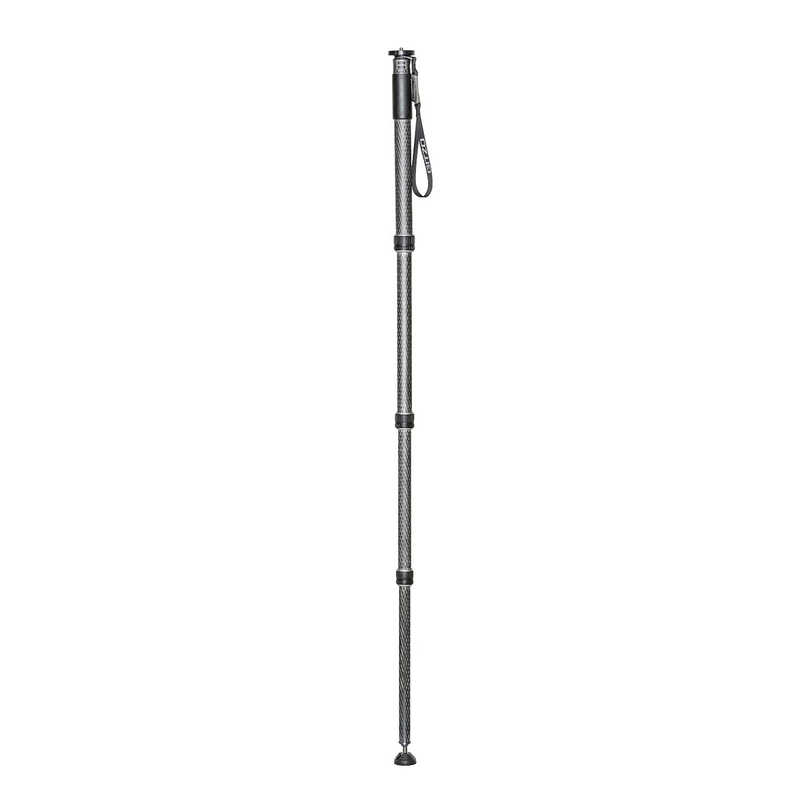 Gitzo Series 4 Carbon Monopod - 4 Section. 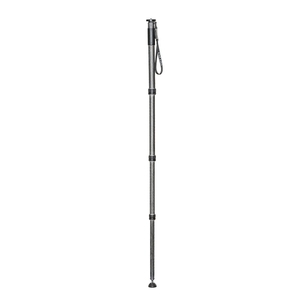 The Gitzo GM4542 Series 4 Monopod is a 4-section, lightweight carbon fiber monopod. It is the best balanced solution in the range. This Series 4 support leverages larger tube size (top leg diameter 37.0mm) and stiff Carbon eXact tubes to deliver rock-solid stability for professional DSLRs, long lenses, and video cameras. However, it is extremely lightweight and slim enough to grip comfortably. Gitzo’s G-Lock Ultra system makes the tubing even stronger by rigidly connecting the leg sections, protecting joints from moisture and dirt. The GM4532 reaches up to 159 cm, securely supporting an impressive 30 kg-worth of equipment. It weighs just 680 grams, folds down to 58 cm and is easy to pack in/on a backpack for hiking. This model’s 4-section structure is designed to enhance its overall balance. It features a handy, reversible 1/4'' and 3/8'' mounting thread for attaching various types of cameras, lenses, and heads. The GM4532 base features an innovative 50 mm rubber foot with a pivoting ball-joint for smooth movement that is perfect for capturing moving subjects. It provides solid footing and maximum stability on any surface and can be removed when necessary and replaced with optional feet or metal spikes. 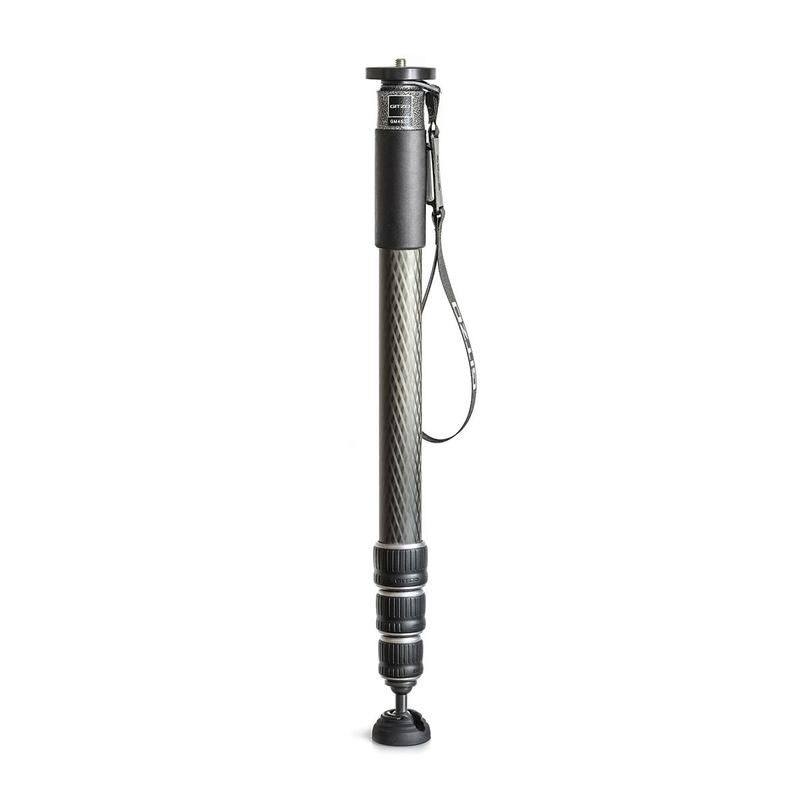 It also features Gitzo's signature ergonomic textured hand grip and a removable wrist strap for increased security, allowing the monopod to hang from belts or pockets. The GM4542 replaces the Series 5 GM5541.